If you are a back pack traveler or eco-tourist or even if you're just a nature lover, you should have been so concerned about the nature and how people should treat it. unfortunately in my country, Iran, the culture of touring and camping has been considered unimportant! you see nothing about it in media propaganda, public ads and even it's not in agenda for parents to teach their children in many cases. it takes all parts of society to change this culture and make our country a better place in future. If you have been to places like North of Iran, the Caspian sea coast or to mountains and jungles, you see sad things like left rubbish and ruined nature objects like trees, river side etc. as far as I know it takes 300 years for a glass made bottle to get recycled in nature and a lifetime for a plastic bag!! Left Garbages in the nature can affect the plants by killing them by suffocating the plants by the rapping of the rubbish around the plants steam. Also rubbish can affect the plants by them not getting enough sunlight, water and air. Also rubbish can kill fish, birds and animals. it's not a joke! Fish and sea animals die everyday because of dirt produced by our rubbish in the water. I was so happy to see this. My dad is actually from Koolaj. Taleghan is really beautiful,especially now that they have opened up the dam. I don't know how recently you were there, but since Tehrani's have discovered Taleghan, weekends here are full of campers along the water. And when they leave, they also leave a lot of trash behind. Very sad. Taleghan is becoming so crowded. I too, like Pontia in the comment above, have family from Koolaj. Having just visited Taleghan in the last month, I was saddened to see all the rubbish tourists leave behind. People really need to learn to clean up after themselves and take their rubbish home with them. All the plastic they leave behind will not magically disintegrate or vanish. It is very unfortunate that many Iranian people still do not understand the concept of not littering! I urge anyone visiting Taleghan to treat the place with respect and clean up their rubbish behind them. Also camping on people's private land is just not on! (a) Take your rubbish with you...leave the place just as you found it! (b) Ask permission of the land owner before you camp on their land! You have heard a lot about Darakeh and Darband (two famous places in north of Tehran which Tehrani people used to go for dining, mountain climbing and smoking hookah -Ghalioon, Shisha or Hubble bubble-). well, they are connected to the capital Tehran and so we are fed up with hearing their name too much. they ARE beautiful indeed, but comparing to Shamkhal (or Shamxal) in Khorasan province, they can't even compete. 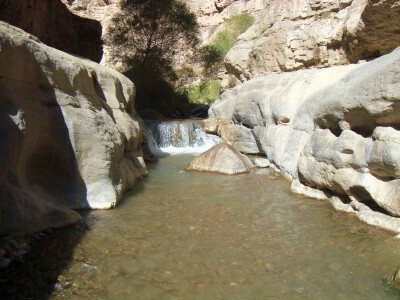 This is Shamkhal, the paradise in Iran, in Khorasan. as you step in, you gotta go to the end. you can't stand in the middle: go or come back, no alternative!! all you see are magnificent valleys, sky scraping trees, crystal clear river flow and fantastic water falls. There are spas, hot water tubs and caves. it's really hallucinogenic but it's for real! 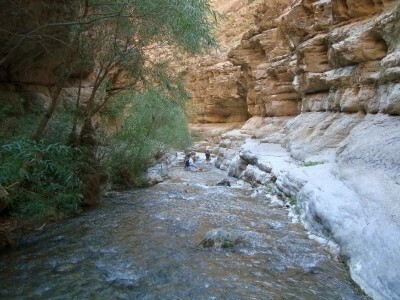 The Valley starts from Tandoreh national park, and after 12 Km you will reach two cold water spas called Shamxal and further you reach a new valley called Dor Badam. from this point the valley gets a little bit wider and you see the Doroungar river on your side. It flows to Mohammad Taghi Beig village and city of Dargaz. Till now, you should have walked for 7 hours and you may be tired, but I bet you are more fascinated than exhausted! the Valley ends here and... WOW! you see a huge flat field in front of you, beneath your feet. the river you were crossing minutes ago, now feeds many gardens and farms. The nature is so generous to this place and this is the reason of all these beauties. Geographical location: 65 Km north of Ghouchan city, Razavi Khorasan province. between Ghouchan and Dargaz cities. access: by car from Ghouchan or by cab from Felestin (Palestine) square in Ghouchan. 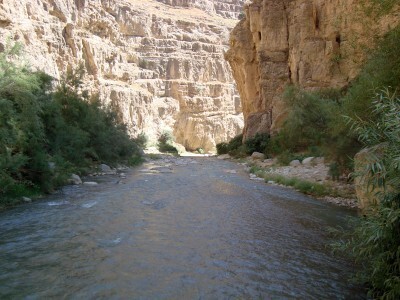 Valley's length: from Shamkhal village to Doroungar village it's roughly 18 km. 1- plan your trip somehow to be able to accommodate the first night in Shamxal's mosque or in the beginning of the first spa in tent, and follow the rest tomorrow morning. there are 3 suites for rent in this area as well. 2- wear proper shoes ad clothes. the nights are cold and freezing some seasons. you may need sun glasses or caps. 3- during the road you will get wet. so have spare cloth for sleeping. this article is translated from it's origin, written by my friend, Mehdi Roudaki. Mehdi is originally a Kurmanj (Kurmanc) and speaks Kurmanji (Kurmanci) Kurdish as his mother tongue. He is familiar with culture of resdent people over there and nature of Kurmanj, Dargaz and Shamxal. feel free to write him if you plan to visit this undisputed place. thanks to him for these info and pictures, please visit his blog for more. for Kurdish language click the link.